Left: Smart Glass Jewelry earrings and bangles available as part of our Bossa Nova Collection. 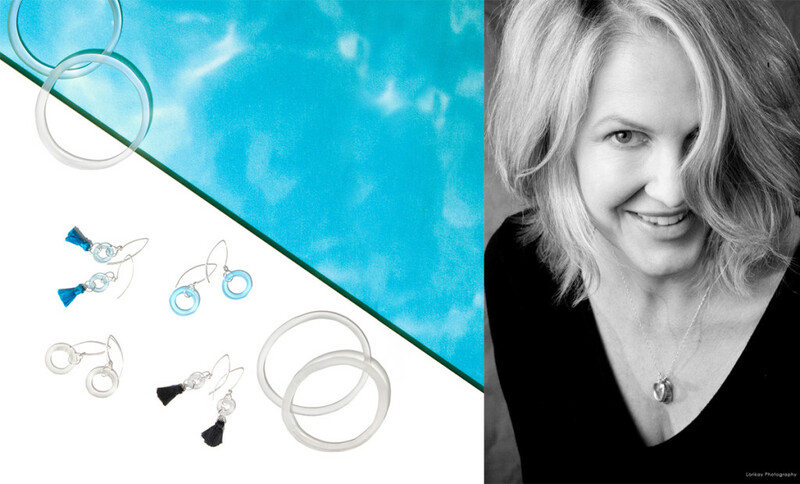 Right: Kathleen Plate, Founder & Designer of Smart Glass Jewelry. Twenty-three years ago, Kathleen Plate set out to share a new point of view: opening the world’s eyes to the beauty in an empty wine bottle. What started as a single pair of bottle glass earrings made as a gift, quickly grew into one of the nation’s leading eco-accessory brands: Smart Glass Jewelry. Today, her line of fashion jewelry made from post-consumer bottles is sold in museums and galleries nationwide, and she has even had the chance to partner with large companies like Coca-Cola and Aveda to transform their bottles into wearable art. 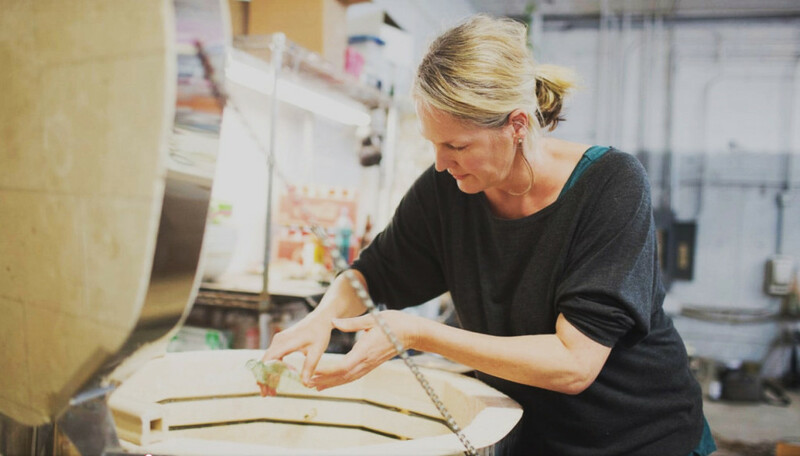 Between her stunning products and incredible mission, we were thrilled to name Kathleen Plate as our featured entrepreneur for the Bossa Nova Collection. But how did she get to where she is today? We sat down with her to get you all the answers. Q: Where did your interest in jewelry design and glasswork come from? Q: How did you get the idea for Smart Glass Jewelry? 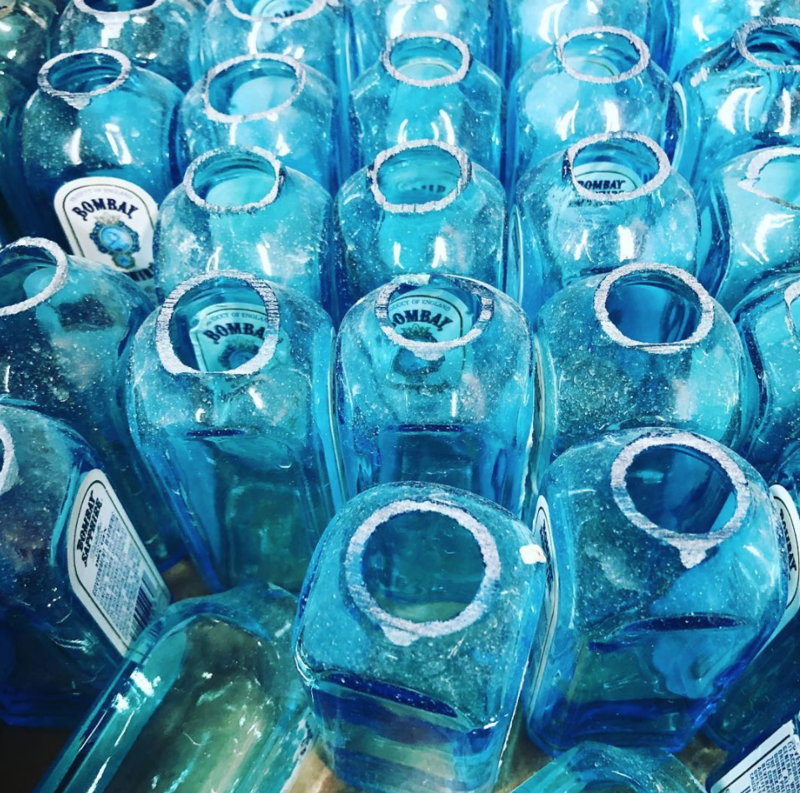 Bottles awaiting their transformation into beautiful jewelry creations. Q: What made you take the leap into entrepreneurship to start your own jewelry business? Q: What makes smart glass different or unique? Kathleen Plate hard at work crafting jewelry in her studio. Q: What is one of the proudest moments you have had as a female entrepreneur? Q: Where have you struggled as a female entrepreneur? See the latest Peach Collection.